The following is a blog entry I had on a defunct blog I ran for a short period called President of Omaha. PoO (horrible acronym not intentional) was dedicated to my own personal ramblings about pop culture. This one in particular focuses on the season three finale of Mad Men. Mad Men’s season three finale is possibly one of the best episodes of the show so far, if just for the great ways they showed how purposefully done everything through the season was. Of course Joan left the firm because she got married. It made it much more dramatic when she came back and was given purpose again. Plus, with her husband going to Vietnam soon, she’ll likely need the built-in support network. Of course Duck offered jobs to Peggy and Pete. They were two of the most talented and forward-thinking people in the firm, so it makes sense they’d be asked to join the new version of it. Plus, think of the dynamic between Duck and Peggy next season. Of course Betty had an affair, even if it was mainly emotional. If Don wouldn’t have found out about it, he would never have separated from her (or called her the spoiled brat that the audience has called her for a while now), which he desperately needs to do to be a better person. Of course Hilton strung Don along and used him. It finally clued Don in on what he made others, at least his business friends, feel like. Of course Sal got fired. That’s going to make all of us so much more worried and hopeful about the possibility of them hiring him for the new incarnation of the firm, because they need him so badly. In the viewer’s eye, that would have to involve Don apologizing for the way he treated Sal the last time the two talked. That may even be possible with what Don may have learned. Don continues to have one small epiphany after another. Sometimes they take and sometimes they don’t. This last episode, it seems he was barraged with them and it looks like they’ll all take to some degree. Betty’s only epiphany seems to be that she deserves to be with someone who doesn’t cheat on her and does share who he is with her, but that just highlights the differences between their two personalities and what they learned this past season. Don has learned he can and needs to be more open. Open in the truth about who he is (both with himself and others), with showing appreciation for others (it’s about time he said what he did to Peggy and Pete), and his own limitations (admitting he can’t do what others like Pryce and Roger can). However, while Don has learned he needs to be more open and supporting, Betty seems to only have realized she deserves better than what she gets from Don and wants the kind of spoiled life she had before marrying him. In other words, Don learned to accept and give, while Betty learned to fight (harder than before that is) and take (what she feels she deserves, which is a lot). That’s not meant to admonish her feelings because she does deserve better than a man who’ll cheat on her with any woman that’s as different from her as can be. Every woman Don’s been with so far is dark-haired and intellectually stimulating. Betty doesn’t fit either of those descriptions. She, however, is a product of her environment, both past and present. One of the most dramatic and telling scenes of the finale was the big argument in Don and Betty’s bedroom after he found out about Henry Francis. It’s hard to blame her for saying she’s better than Don now that she knows what kind of family he came from, because it was so perfectly done in the scene by having Don instigate the comment and her so quickly agree to it out of anger. Who hasn’t said something they didn’t mean in the heat of an argument? 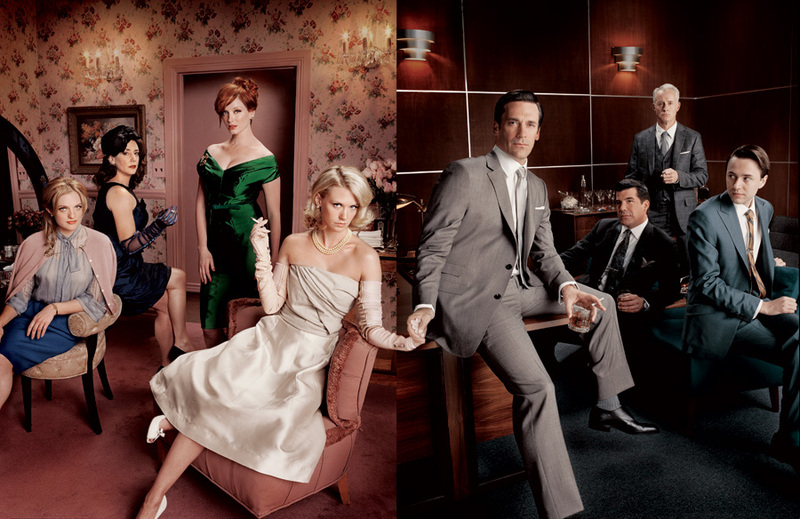 That’s one of the great ways Mad Men captures people’s attention. The characters are so utterly despicable in so many ways, but they end up being so relatable in just as many ways. I would say it’s maddening, but Don Draper would verbally beat me down for such a bad pun.